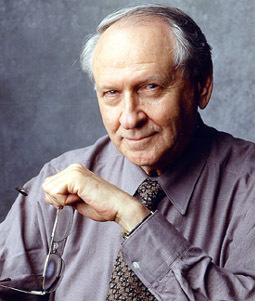 William Safire is a man of many careers: journalist, speechwriter, historian, novelist, lexicographer, and columnist. He worked on the first Eisenhower Presidential campaign and later became a senior speechwriter in the Nixon White House. He escaped from there in time to write Before The Fall, a history of the pre-Watergate White House. As a historical novelist, he wrote Freedom about the Civil War, and his latest novel is Scandalmonger about the origins of America's press freedom. His anthology of the world's greatest speeches, Lend Me Your Ears, has become a classic. As a lexicographer, he is author of Safire's New Political Dictionary, a half-million word study of the words that have inspired and inflamed the electorate and You Could Look It Up, a language book drawn from his Sunday language columns in the New York Times. As a political columnist, he began his twice-weekly column three decades ago in the New York Times, writing from the point of view of a libertarian conservative. His series exposing the Bert Lance affair earned him the Pulitzer Prize for distinguished commentary. He is now a member of the Pulitzer Board. His political columns have been collected in book form as Safire's Washington. Additionally, he and his brother Leonard Safire compiled Good Advice, a collection of more than two thousand quotations to help you live your life.